High Temp Thermal Fluid Heater. GENESIS® High Temperature Thermal Fluid (HTTF) Heaters offer significant technological advances over competitive units in the market. GENESIS will heat any suitable range of thermal fluids. The robust design features a complete membrane wall furnace that provides gas tight construction and maximum structural integrity while also minimizing any refractory. It eliminates older tangent tube wall technology which in the past required manually adjustable orifices to distribute flow. The unit has the ability to handle high differential temperatures and eliminates hot spots in the generator by controlling flow evenly through the tubes with a weld gas tight seal. 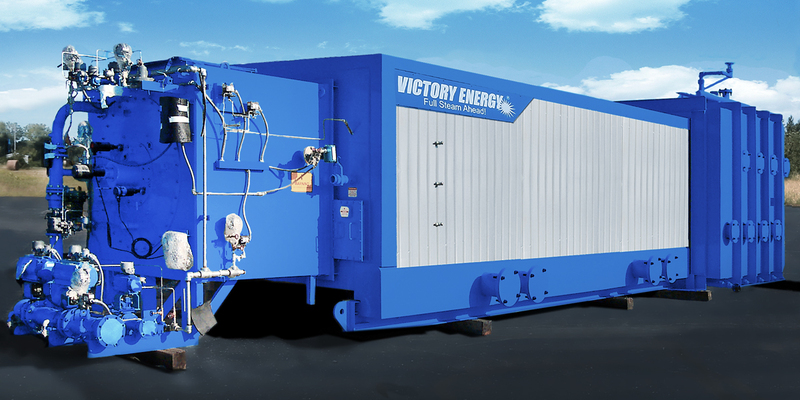 GENESIS units come equipped with Victory Energy VISION® Burners that are low NOx and extremely fuel efficient.